UpCloud Review: Fastest Cloud Servers, You looking for? But, which one is fastest? Is there any? Yes, It is UpCloud with MaxIOPS. UpCloud is the fastest cloud server with a 100% uptime with an affordable price of 5$/month only. The servers are faster-than-SSD performance reaching 100000 IOPS with a 100% uptime SLA! Upcloud is the fastest server I have tested till now. 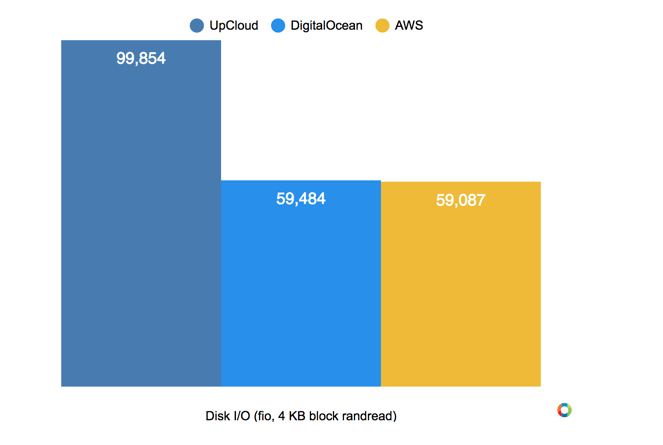 After testing various Digitalocean and Google Cloud servers, Upcloud rank among them. I have created three different VPS with the similar configuration. 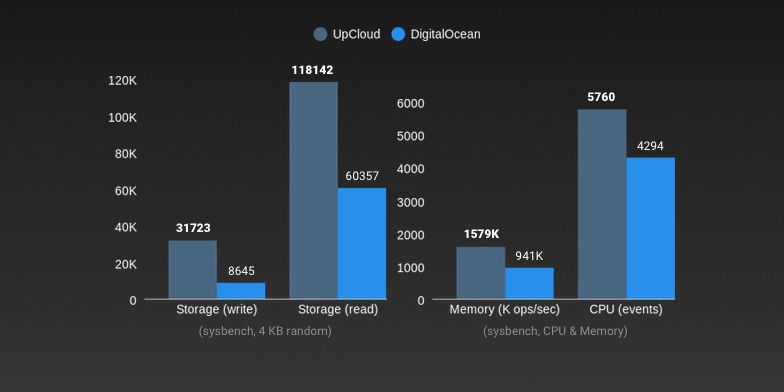 2vCPU 2GB Ram from UpCloud, *20$ (Now comes with 4GB ram), DigitalOcean 2vCPU 2GB Ram, *15$ and 3.75GB ram and 2vCPU Standard plan *27$ from Google cloud. The Location was configured to the Chicago for Upcloud, New York for Digitalocean and Lowa, USA for Google Cloud nearest to each other. Install a Control Panel and here the result of the 1st test. I amazed to see that Upcloud has ranked 1st with an installation time of 2.40sec. Google Cloud has taken 3.25sec while DigitalOcean has taken 6.30sec for a complete installation. 2nd Test was about the Default WordPress Installation Speed, and the result is in front of you. Still… Don’t believe me?? 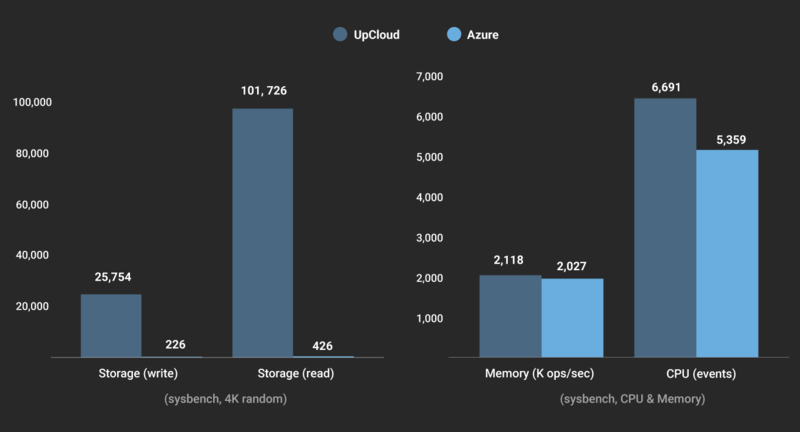 The performance tested by the UPCloud Teams says itself. 4. Simple but powerful API: Automate everything! 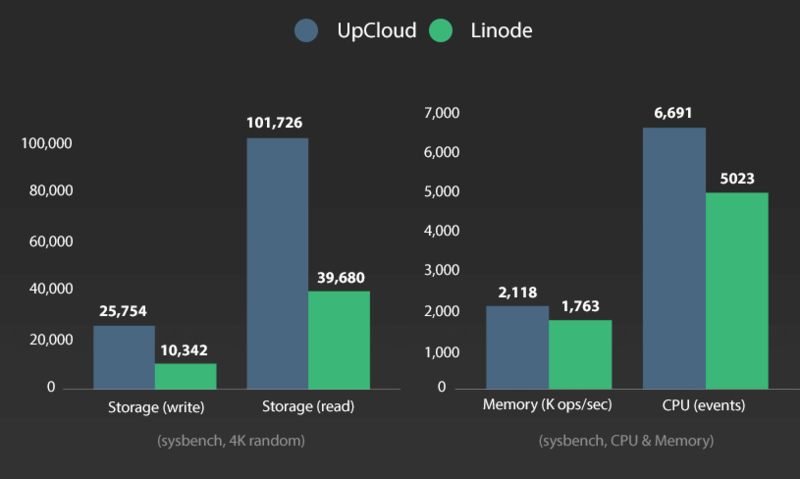 UpCloud is a creative home for developers with a faster-than-SSD cloud server and 100% uptime your projects will rock in the cloud. You can Deploy a server in 45 seconds using the simple but powerful control panel, the Restful API or any software such as Ansible, Go or Python. With incredibly fast boot times, you will get up and running within minutes. All cloud servers on UpCloud are deployed on enterprise-grade hardware. Together with our in-house developed software and proprietary MaxIOPS storage technology, each one will get industry-leading performance at all times. You can deploy a server using a preconfigured plan or configure each resource (CPU, RAM, Storage and IP-addresses) individually with freely configurable cloud servers. You can always switch between preconfigured plans and freely configurable resource limits, whenever you desire. You can create your own 100% private network, which is interconnected between all data centers they owned. This allows you to send data between your cloud servers using a private connection and without incurring any costs. With floating IPs, you get a static IP-address that you can attach to any one of our cloud servers. It can then be freely moved around, allowing to create a highly available infrastructure without a single point of failure. You can Automate your infrastructure with UpCloud’s fully featured API, which allows you to create, configure and delete not just cloud servers but also all of their services: floating IPs, storage, firewalls and more! All functionality available in the control panel is also available through the API. That means you can automate your entire cloud! Firewall: Secure your environment with our highly configurable firewall, allowing or blocking traffic before it even reaches your servers. Server Cloning: Easily setup a staging environment by cloning one of your cloud servers or storage disks. Convert it into a template and automate your deployments. Backups: Instantly create or schedule periodic backups. Using true snapshots, backups are created in a blink of an eye and can be restored just as quickly. Looking for a simple server management? Here at UpCloud, you can easily grant access to the rest of your team (or even clients) with granular permission control. To organize your entire infrastructure, add tags to your servers. In addition to having your servers organized by tags, you can also utilize tags to allow or limit specific groups access to your servers. With N+1 redundancy throughout UpCloud entire infrastructure, all single points of failure have been eliminated. If a component fails, another immediately takes its place. This means that you’ll never lose any sleep (or money!) because of faulty hardware. UpCloud Team trusts their redundancy so much, that they will give you a 100% SLA with 50x payback for any downtime of over 5 minutes. UpCloud recently updated their plans, and now The Upcloud pricing starts at $5/mo only with a free trial available and 30 days money back guarantee. At a 5$/month You will get 1 CPU, 1GB Memory, 25GB MaxIOPS and all the features I have mentioned above. This plan is perfect if you are just new to Cloud VPS. Here is the list of new preconfigured pricing. 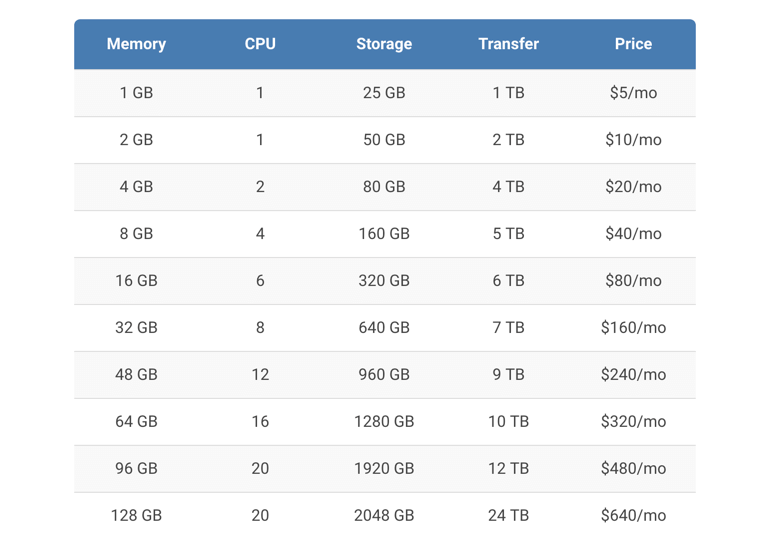 You can get more pricing option and scalable server pricing from their official pricing page. 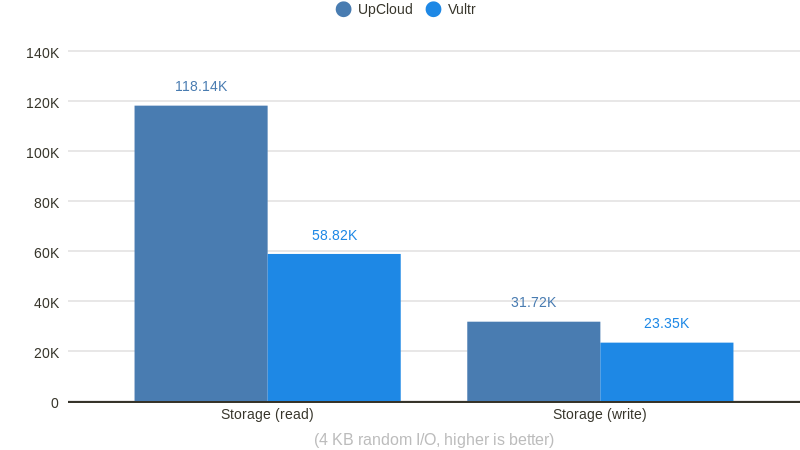 Upcloud is the future of Hosting, and when it comes to fastest hosting, UpCloud is the way to go. UpCloud provides affordable and competitive pricing towards other cloud servers which includes more and more for your visitors. If You are looking for an affordable and supportive Cloud Server or want to move from old Cloud servers, then this is the right time. Give a try to UpCloud, and I promise You will never look back for another cloud hosting solution. You can grab a Free 25$ Credit using this link and can find all the UpCloud discount and offers on the deals page. I hope you find this UpCloud review helpful. Do let me know which cloud server is your favorite and why? Description: UpCloud is Fastest VPS server provider offering affordable VPS starting at 5$ only.